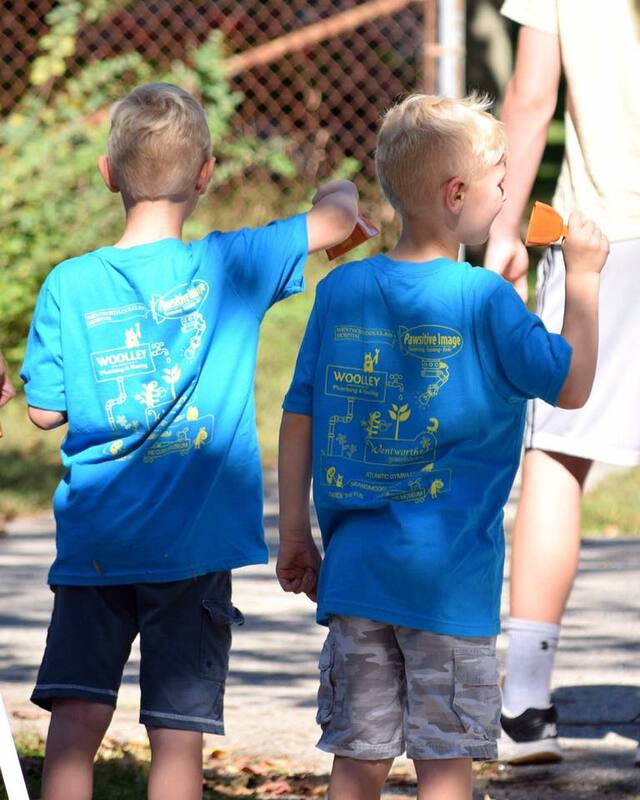 Founded by the Friends of the Rollinsford Public Library (FRPL) in 2013, the Salmon Run 5K is an annual trail and road race held in Rollinsford, New Hampshire. 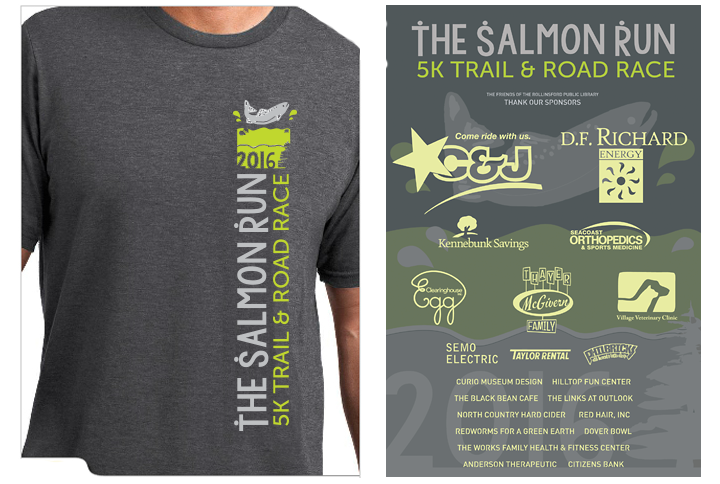 I developed their branding around the town village (Salmon Falls Village) and the Salmon Falls River. 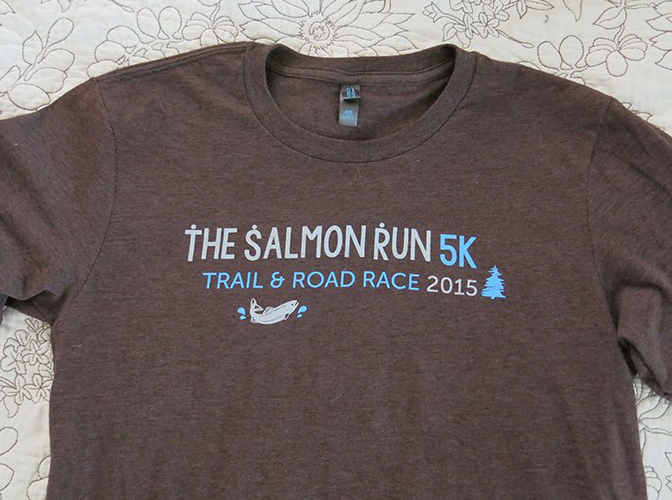 Each year, I design the race shirts and handle the screen printing process for the event. 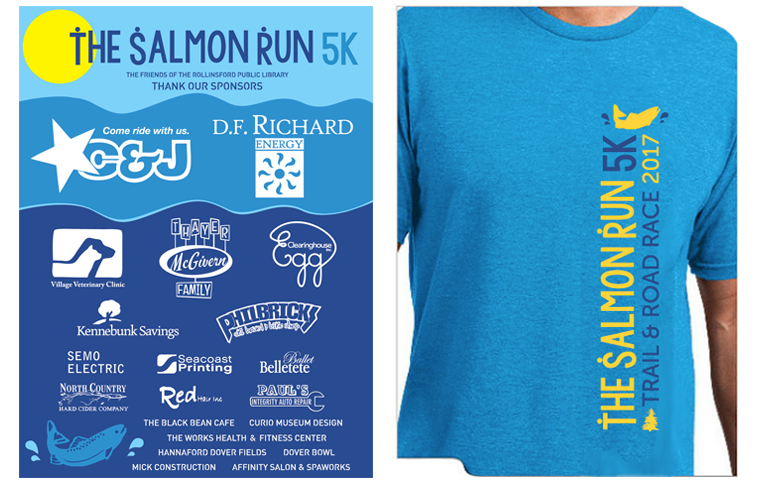 I also create custom registration forms and sponsorship packages (to match the specific branding of that year’s event), I do all of the graphics for the fun run, and I design full-color sponsor posters to display at the race and year round at the town library.